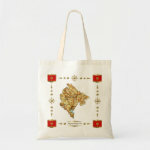 Our Montenegro page displays gifts and souvenirs with Montenegrin designs by FlagAndMap and other designers. 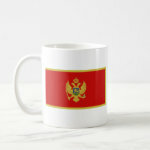 Whether you're looking for a basic t-shirt sporting the Montenegrin flag, a mug featuring a map of Montenegro or something else with a patriotic design, we hope you'll find something you like here. Also listed at the bottom of the page are links to a few interesting and informative resources for Montenegro. The flag of Montenegro was adopted on July 13, 2004. 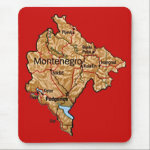 It consists of the Montenegrin coat of arms centered within a red field with a golden border. 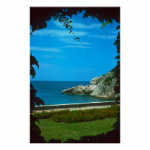 Montenegro is located in southeastern Europe with a coastline along the Adriatic Sea. The country's terrain is generally mountainous and rugged, especially in the north, with only a narrow coastal plain. The outline of the map is compact and diamond shaped and combines effectively with the hues of the flag to create elegant and distinctive Montenegrin national mementos. All our products are customizable so you have the option of adding your own text or images at no extra cost. For example, you could add a name to create a personalized 'Montenegro' t-shirt for friends and family or you could create a commemorative mug featuring the Montenegrin flag and map plus your organization's own message or slogan. 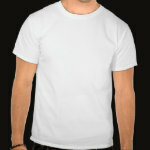 Alternatively many people prefer to leave the designs as they are and that's a good choice too! We sell several Montenegro flag and map designs for t-shirts, which are available in dozens of style/color combinations for men, women and kids. 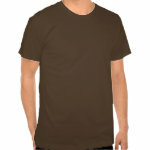 Styles include basic, polo, raglan, melange, ringer, organic, baby doll, spaghetti, long-sleeve and sweatshirt. Each of the examples below links to a product page (opening in a new window) showing more information and allowing you to switch styles, experiment with customization and make purchases. 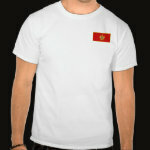 Alternatively you can browse the entire range of t-shirts with Montenegro designs. 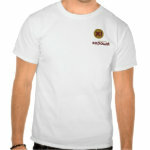 Other products that we offer include mugs, bags, hats, ties, magnets, mousepads, keychains and more. Designs are available on all product variations where such alternatives exist - for example bag designs are available on budget, grocery, impulse, tiny and jumbo totes. For more information you can click on the examples below or, if you prefer, browse all of our products with Montenegro designs. A small selection of products with Montenegrin design themes from other designers - Jontimko's photos also include manhole covers! - check it out. These links are to the selected designer's store and will open in a new window.